Is your partner complaining that your snoring is robbing them of much-needed sleep? Sleeping with a snoring partner can be like sleeping among a chorus of bullfrogs. Up close, snoring is not humorous at all. Snoring is one of the most prevalent causes of sleep deprivation. If your snoring repeatedly keeps your partner up at night, they are bound to feel the effects of sleep deprivation. This can cause a rift in your relationship and unrest in any household. As the snorer, you may also experience sleep deprivation without knowing it. 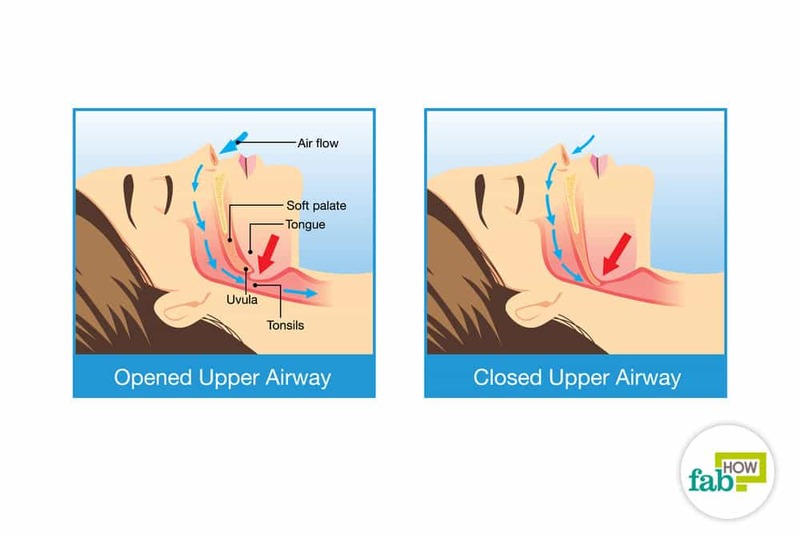 Excessive and incessant snoring accompanied by daytime fatigue may be a sign of obstructive sleep apnea, where the person stops breathing due to an obstruction in airflow resulting in vibrating snores. The person likely wakes up several times in the night with a sputtering gasp, often not remembering this the next day. Other causes may also result in snoring. For various reasons, your throat muscles could be prone to relaxing at night and obstructing the airflow. Also, nasal congestion or even your tongue could be obstructing your airflow. Sometimes old age can give rise to snoring, as the nasal cavity can become narrow with age. Certain health conditions can also make you prone to snoring. No remedy is fit for all. For effective treatment, the cause of the snoring should determine the remedy you use. You may need to enlist the help of your partner to determine the cause. At night, the throat muscles usually get relaxed, making the airway a little narrow. If you have nasal congestion, it can make the situation worse by almost obstructing the air in the nasal passages. This results in vibration of the airway tissues due to a forced airflow, which gives rise to snoring. Clearing your nasal passages can help restore your natural breathing and help end the snoring. Practicing jalneti with a neti pot or using nasal strips can give you relief from nasal snoring. A neti pot can be used for this purpose. You can easily get one online or in a drugstore. Refer to the manufacturer’s instructions on usage and always use distilled or sterile water to make the saline rinse. Pour the prepared saline solution into the neti pot. Lean over a sink or stand in the shower while using a neti pot because the solution, along with potentially gross stuff, will be trickling down your nostrils. Relax your body and breathe through your mouth during the entire procedure. Lean your head to the side, so that your face is parallel to the floor. Insert the spout of the neti pot into the upper nostril, so that water cannot come out of it. 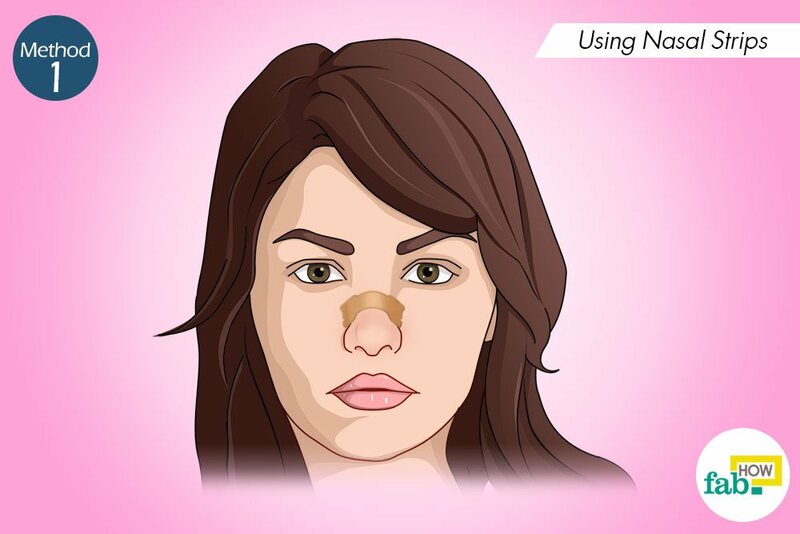 Pour the saline water through the upper nostril and let it flow out through the lower nostril. This may take a few seconds, so don’t panic. Use half the amount of saline water in one nostril, reserving half for the other one. Stand upright and gently blow out any remaining saline water through your nose when you’re done. Repeat with the other nostril using the remaining water. Gently blow out any remaining saline water through your nose after finishing. You’ll get the hang of it after doing it a couple of times. It usually takes about 5 minutes to go through the entire procedure. If water gets into your throat, you can simply spit it out. You can use the neti pot once or twice a day regularly to relieve congestion in your sinuses. You can select from a variety of brands available in the market. Nasal strips are made of spring-like elastic material with an adhesive surface. When you place them on your nose, you stretch them a bit across the bridge of your nose, and the adhesive adheres to the skin on either side. When the elastic material reverts to its original shape, it lifts the sides of your nostrils, which opens up your nasal passages and allows easy and unhindered breathing. Aromatherapy administered using essential oils can be quite beneficial in reducing snoring. Essential oils have proven to be successful in treating snoring. Peppermint essential oil can help reduce inflammation and swelling in the sinuses and open up the air passages, which helps alleviate snoring. Marjoram, mint, lemon, sage, lavender, eucalyptus and clove are some other essential oils that can help you alleviate snoring. Put a little essential oil on a cotton ball and inhale it. 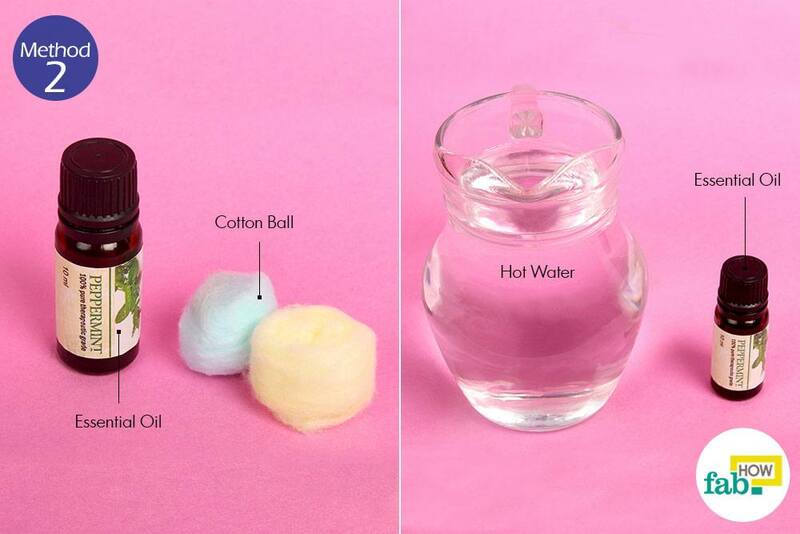 Add some drops of essential oil to steaming hot water, hunch over it and breathe in the steam. Use a diffuser machine to diffuse the essential oil into your bedroom. Add 2 or 3 drops of essential oil to a cup of lukewarm water and gargle with it. Dab 1 or 2 drops of essential oil on the underside of your nose before going to bed. Dilute the essential oil in equal parts with a carrier oil of your choice. Use the blend to massage your chest, shoulders, neck and the soles of your feet before going to bed. Snoring is often caused by a metabolism imbalance. Long work hours that give way to physical and mental exhaustion, poor eating habits, drinking too much alcohol and smoking can wreak havoc on your metabolism. This may, in turn, give rise to snoring. Some studies have also linked high blood pressure to snoring. In addition, an inactive and unhealthy lifestyle may lead to accumulation of excess fat cells in the throat, making the narrow and flabby throat muscles susceptible to snoring. 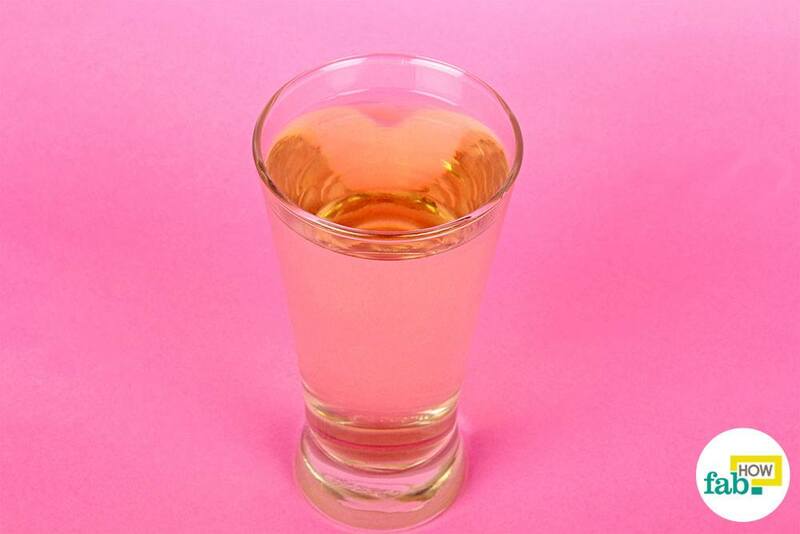 Apple cider vinegar (ACV) can be consumed to right the imbalance in the metabolism. ACV balances the body’s pH level and prevents the conditions in the body that may give rise to snoring in the future. 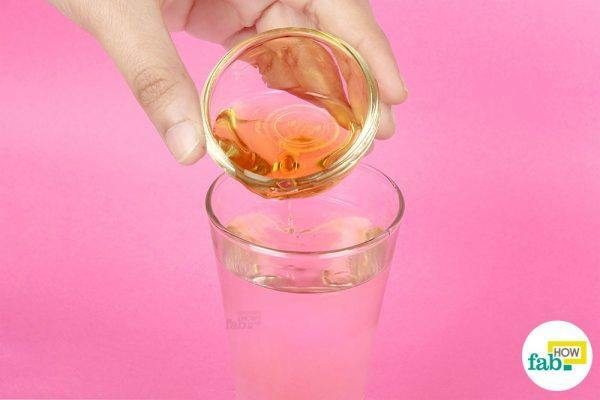 Add 1 to 2 tablespoons of ACV to 1 cup of warm water and mix thoroughly. 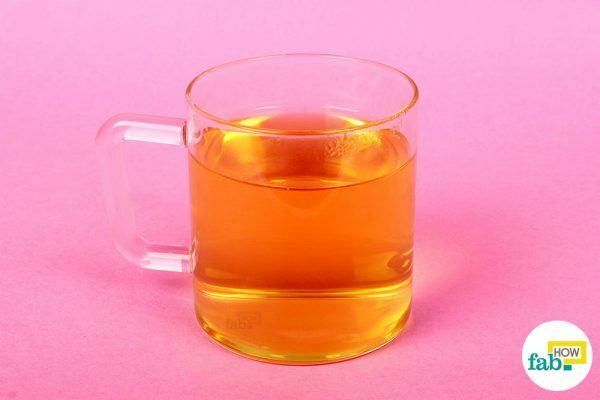 Consume this ACV drink twice a day regularly to eliminate snoring. 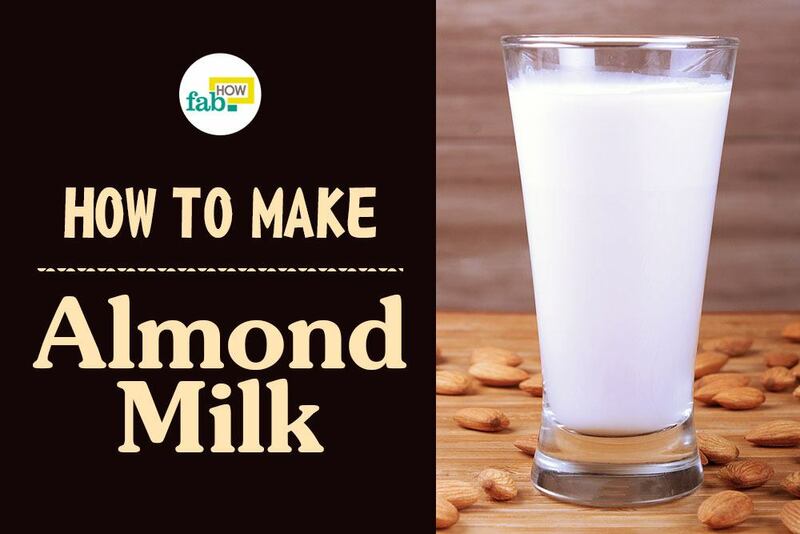 You may also add some raw organic honey to help with the taste. 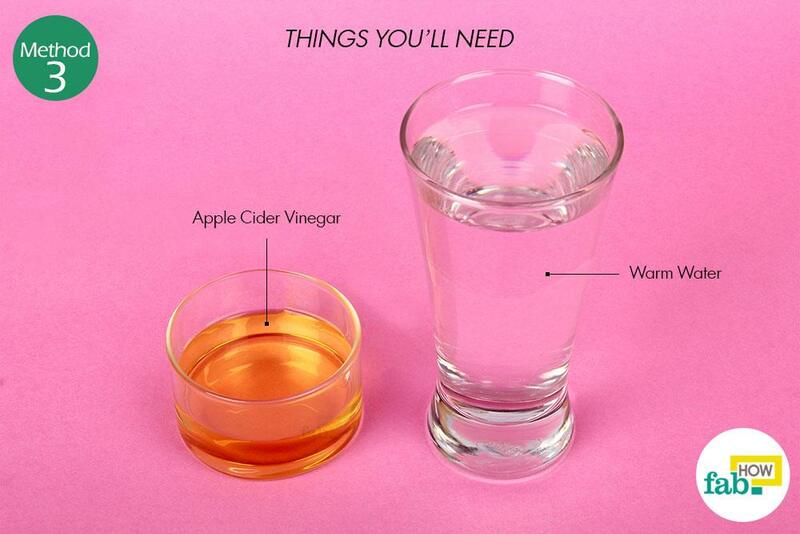 If you don’t mind the tartness of ACV, you can down a shot of ACV and chase it down with a glass of warm water. If you can’t stand its taste at all, you can also consume it in capsule form. If you’re allergic to pollens and other irritants, such agents can cause swelling and inflammation in your nasal passages that can result in congestion-related snoring. Herbal teas can help you get rid of that congestion-related snoring. Drinking warm herbal tea 30 minutes before going to bed can be relaxing to your body and mind, thus helping you sleep better. Chamomile tea is known for its anti-inflammatory and calming effects. It’s an easily available remedy for snoring. Eucalyptus, marjoram, spearmint, and nettle are some other herbs that can be used to make herbal teas to help with your snoring. Add a chamomile tea bag to 1 cup of boiling water. 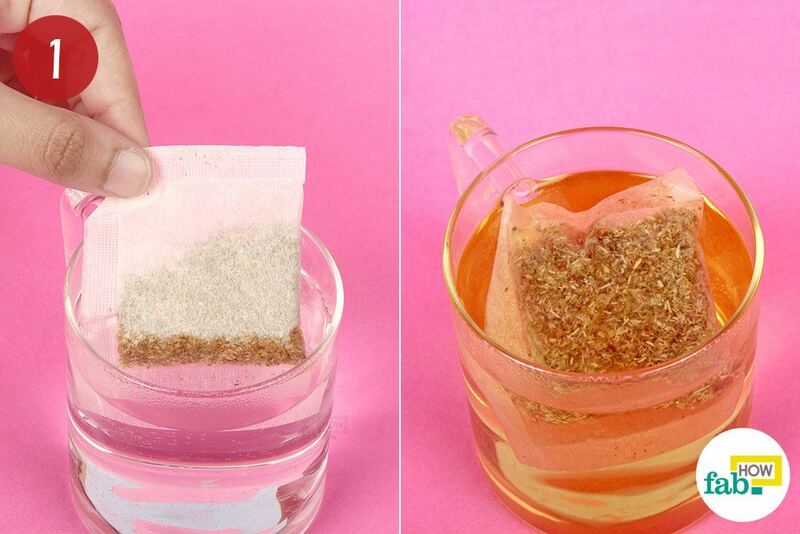 Let the tea bag steep in the water for 3 to 5 minutes. 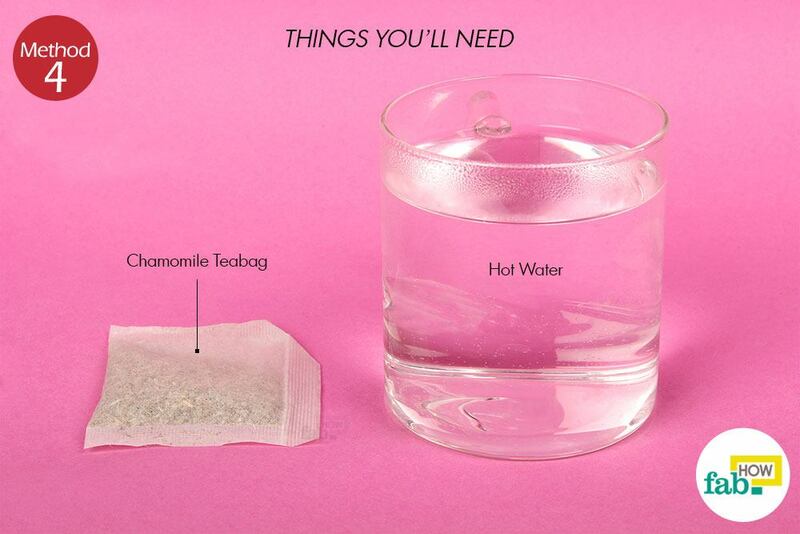 Remove the teabag and enjoy your cup of chamomile tea. 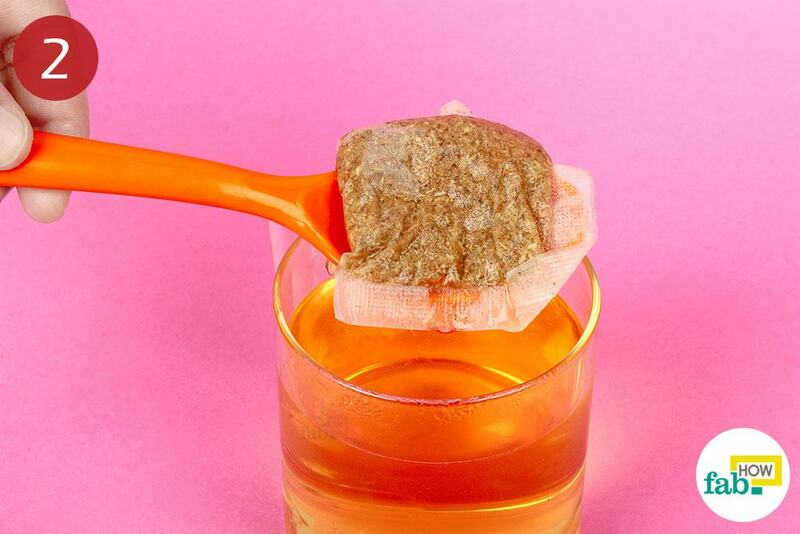 You may also sweeten the tea with honey if desired. Drink this tea twice a day. If your throat muscles are flabby and out of shape, it can be the reason for that unbearable snoring. Therefore, if you’re overweight or obese, you’re more likely a potential snorer. Exercise can help you out in such a condition. When excess fat cells get deposited in your throat, the throat muscles can become flabby and more likely to collapse while you sleep. This results in forceful airflow when you breathe while sleeping, causing vibration of the tissues and membranes that echoes as snoring. You can use some throat and breathing exercises to tone the muscles of your throat, which will greatly reduce the incidence of snoring. Snoring arises from forced breathing due to obstructed airflow. Pranayama strengthens the muscles involved in breathing and doing it regularly can help you regulate your breathing at night. It can also help clear any sinus congestion that may be obstructing the airflow. (1) You can easily do it at home or enlist the help of a yoga instructor. Take a comfortable seat on an even surface and sit with your spine erect. Rest your left palm over your left knee and rest your pointer finger and middle finger over your forehead. Take a deep breath. Now, close your right nostril with your right thumb, and inhale through your left nostril. Close your left nostril with your ring finger and pause for a second. Open the right nostril and gently exhale through it. Now, inhale through your right nostril this time. Then, close your right nostril and pause for a second. Open your left nostril and gently exhale through it. Repeat this cycle 5 to 10 times daily to help with your snoring. There are numerous throat exercises that you can do to strengthen and tone your throat muscles, thereby helping to alleviate your snoring. (2) Concentrate on exercising the parts that cause your snoring (like the tongue or throat). 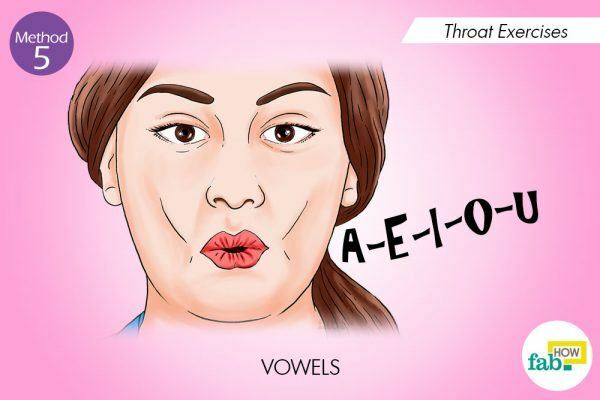 Reciting your vowels (a-e-i-o-u) out loud for 3 minutes can help tone your throat muscles. Do this a few times each day until you see results. Simply purse your lips for 30 seconds twice a day. Open your mouth and move your jaw to the left. Hold this posture for 30 seconds. Then, move it to the right side and again hold it for 30 seconds. Repeat this activity daily. Place the tip of your tongue behind the top of your teeth. Gradually drag the tongue backward. Do this for 3 minutes every day. Press the entire tongue against the roof of the mouth. Hold this position for 30 seconds. Relax and repeat this activity for 3 minutes. Medication, especially medication to assist sleep, can relax the throat muscles and result in obstruction of air passages that manifests as snoring. If you’re on any medication, talk to your doctor to check if that’s the case and ask for a solution. You can also use apple cider vinegar (ACV) steam to treat congestion-related snoring. Add ACV to a bowl or basin of steaming hot water, bend over it and breathe in the ACV steam. Including regular exercise in your daily routine can help you lose excess weight and control your snoring as a result. Avoid consumption of alcohol and smoking in excess. These activities also tend to make the throat muscles excessively relaxed. Snoring that manifests with aging should be tackled by making diet and lifestyle changes. Bankar MA. Impact of long term Yoga practice on sleep quality. Journal of Ayurveda and Integrative Medicine. https://www.ncbi.nlm.nih.gov/pmc/articles/PMC3667430/. Published 2013. Powell RJ, Hilton M, et al. Singing Exercises Improve Sleepiness and Frequency of ... International Journal of Otolaryngology and Head & Neck Surgery. https://www.researchgate.net/publication/268817477. Published January 2013. Kawai H, Tanaka S, et al. Effects of essential oil inhalation. Sleep and Biological Rhythms. https://www.researchgate.net/publication/319638202. Published September 2017. Lorusso, Magnani, Bittencourt, Bommarito. Department of Surgical and Morphological Sciences, Oro Cranio Facial Disease and Medicine Research Centre, Insubria University, 21100 Varese, Italy. Sleep Science. https://europepmc.org/abstract/med/26483933. Published November 17, 2014. Eric J. Schenkel, Renee Ciesla, Gilbert Marava Shanga. Effects of nasal dilator strips on subjective measures of sleep in subjects with chronic nocturnal nasal congestion: a randomized, placebo-controlled trial. Allergy, Asthma & Clinical Immunology. https://aacijournal.biomedcentral.com/articles/10.1186/s13223-018-0258-5. Published August 27, 2018.